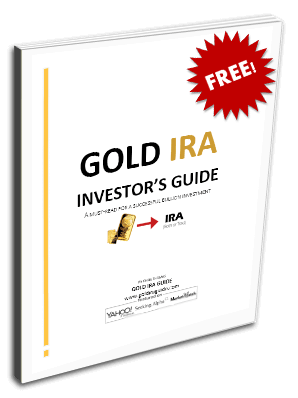 Gold IRA GuideGold Are Bank Scandals Fueling Distrust in the Financial System? Are Bank Scandals Fueling Distrust in the Financial System? The large global banks have been one of the largest beneficiaries of the worldwide monetary easing policies which were ushered into place in the wake of the subprime mortgage crisis. A crisis these very same banks played a huge role in orchestrating. Seven years on from the darkest days of the financial crash, wall street has by and large recovered most of its swagger. Bankruptcies, bailouts and, layoffs have been replaced with record high stock markets, record bonus payments, and widespread asset price inflation across the luxury sector. The successful resurgence of the financial sector is often cited as a glowing example of the effectiveness of the Fed’s monetary policies – booming activity in the luxury sector is lauded in the financial media as a harbinger for brighter days ahead through the process of “trickle down” economics. The economy, it would seem, has finally turned the corner. The problem with this narrative however, is it holds very little resemblance to the reality facing most mainstreet workers and small business owners. Despite the euphoria in the financial markets, there is a growing awareness that a two tiered economic system is starting to become more and more endemic throughout the world. Inequality is on the rise at a record pace globally, and there is deep frustration that the very same banks who brought the economy to its knees in 2008 have made very little progress in reforming some of the more unsavory aspects of their operations. Bank scandals and market rigging are unearthed with worrying regularity and gone unchecked, will continue to foster an increasing feeling of distrust of the financial system by the general population. Despite the trillions of dollars worth of bailouts, and a flurry of new regulations designed at curtailing some of the most unsavory aspects of modern banking, the largest players are still dogged by illicit activities in several of the world’s biggest markets. Since 2009, there have been several major scandals which cast doubt on the how effective the banks have been with respect to their internal risk and compliance housekeeping. The most recent scandal to hit in recent weeks has been widespread manipulation of the foreign exchange market – a $5 trillion dollar per day market which affects the lives of nearly everyone on the planet. Several of the world’s mega banks pleaded guilty to criminal charges in the United States and are scheduled to pay fines in the region of $5.7bn. US Attorney General Loretta Lynch outlined details of the fraud, where fx traders from several banks conspired via electronic chat rooms to manipulate FX prices. While these fines are a welcome sign that regulators and governments are being proactive in tackling such frauds, the sheer number of these types of cases suggest that the banks themselves are showing very little regard for the rule of law, and indeed many commentators believe banks view fines of this nature as a cost of doing business. There has been no disclosure on how much profit the banks made as a result of this scandal so evaluating the severity of the fines is difficult. What is clear, is the banking sector seems gripped in the same unruly behavior which led us into one of the greatest economic slumps in history, and many savers are right to question just how prepared and resilient the industry really is when the next financial storm hits. Are these scandals isolated occurrences, or are they indicative of a broader cultural malaise within our financial system. One of the biggest frustrations for savers wishing to free themselves from the grip of the megabanks is the lack of choice available to them given the vice like grip these banks have on traditional finance. While it may seem frustrating, the good news is there are alternatives, and also a degree of optimism looking forward due to the growing trend of disruptive technologies being released into the financial world to increase competition and negate some of the more insidious practices of the big banks. New financial innovations like “Peer to Peer” lending and digital currencies are at the forefront of this technological disruption and are making some real inroads into breaking down some of the monopolies and fee gouging practices of incumbent institutions. While still in their infancy, these technologies pose a significant threat to the big banks, and there is already signs of their influence having a real impact. The NASDAQ recently announced plans to incorporate bitcoin technology into the clearing systems of their unlisted market. Innovation in this field shows no signs of slowing down, and with any luck can break down the “Too big to fail” and “Too big to jail” culture. On a more immediate level, savers can always engage in the same practice which more and more of the world’s central banks are involved in – accumulate gold. Establishing a position in gold is a vote against the current system and a time tested method of saving given the precious metal’s unrivalled store of value and wealth. The scandals which continue to surface from the world’s financial system are likely to continue, and given the unprecedented economic policies, currency wars, and monetary easing being implemented all over the world, savers can be forgiven for trying to escape from the clutches of this system. Given the choice, being your own central bank looks very appealing.